The Haas Formula 1 team "wants all the facts" before deciding whether to keep banned Formula 2 racer Santino Ferrucci as one of its junior drivers. Ferrucci is banned for the Hungaroring and Spa rounds of the F2 championship after crashing into Trident team-mate Arjun Maini on the cool-down lap of the Silverstone sprint race. He was also fined €66,000 for driving his F2 car without a glove, holding a mobile phone, between paddocks during the Silverstone weekend. The American driver later apologised, citing what he called a "mental lapse" for his actions. On Wednesday, Ferrucci was dropped by Trident and also by his management agency but his link with Haas remains. Haas, which also has Maini as a junior, declared that planning for its German and Hungarian Grand Prix weekends was "more important" than making a decision about Ferrucci's future. "Haas F1 Team remains committed to gathering all of the facts and having in-person conversations with all the individuals involved in the situation," said a statement given to Autosport. "We are being diligent, but our priority is the last two races before the summer shutdown. "While we want a better understanding of everything that took place, we aren't in a hurry because the German and Hungarian Grands Prix are, quite frankly, more important." 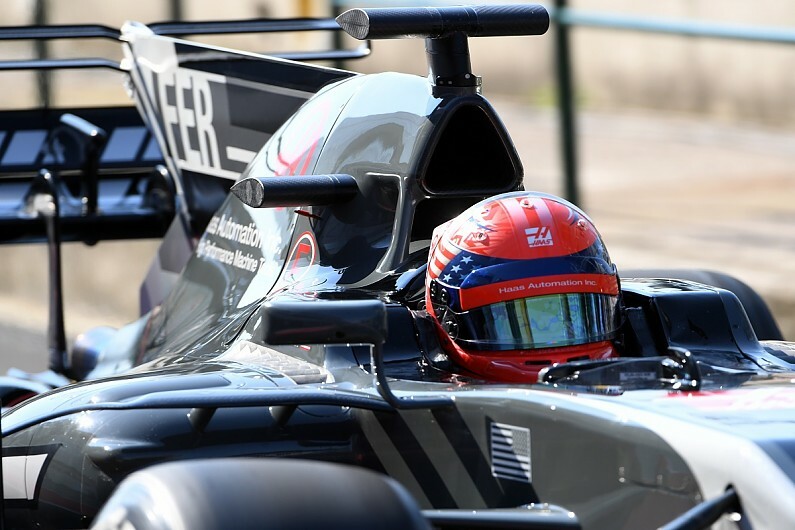 Immediately after the incident at Silverstone, Haas F1 team principal Gunther Steiner said that he would be investigating what had happened. "I'm aware of the incident, I've seen it once on TV when they showed the race," he said. "I didn't really realise, I didn't hear the audio, but I was made aware that there are some problems. "I said I'm not going deal with them today, because we have a race to go to. I'm going deal with them in the week so I will get more information. "I'm aware something happened but at the moment I don't have enough information." Autosport understands that Trident is considering two different replacements for Ferrucci in F2, with a quick decision needed before the Hungary event begins on July 27.